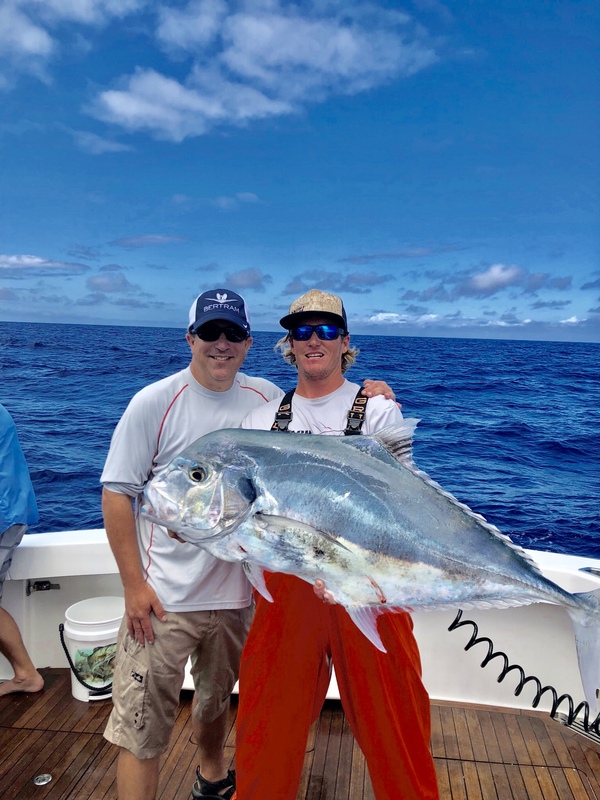 On a recent Deep Sea Fishing trip out of Tampa, Captain Matt Douglas with YACHTFISH Fishing Charters had to drop the first bait down to test out the first spot. After we set anchor and began to chum up our spot we were greeted by a variety of pelagic species under the boat. We had Amberjack, African Pompano, Tuna, Kingfish, Sharks, Barracuda, Grouper and Snapper under the boat ready to eat. I immediately grabbed a scaled sardine and threw it into the water. Seconds later the line began to scream off of my Shimano 6000 Saragosa spinning reel. After about 3 minutes we subdued the monster African Pompano and threw him into the boat. My customers were then ready to begin fishing after a quick lesson on how we were going to be fishing. Next bait down we pulled up a huge Amberjack weighing 40 pounds. We took turns fishing all day catching one fish after another on light tackle spinning gear. After catching our limit of Amberjacks, African Pompano and Red Grouper my guests arms were worn out and request to head back into port. The deep sea fishing out of Tampa will remain excellent over the next few months with lots of different species to target offshore. This is some of my favorite times of the year to be offshore fishing as conditions are perfect and the fish are hungry. Always make sure to be safe when headed offshore and take the proper safety precautions. Start monitoring the weather a week prior and make sure to carry an EPIRB, life raft and satellite phone in case of an emergency.